CMS expects its output to reach 12 million automotive wheels by 2022. 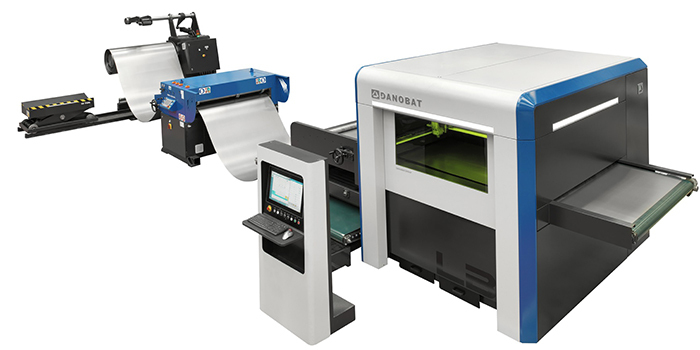 DANOBAT incorporates one of World´s leading firms in the sector into its customer portfolio. 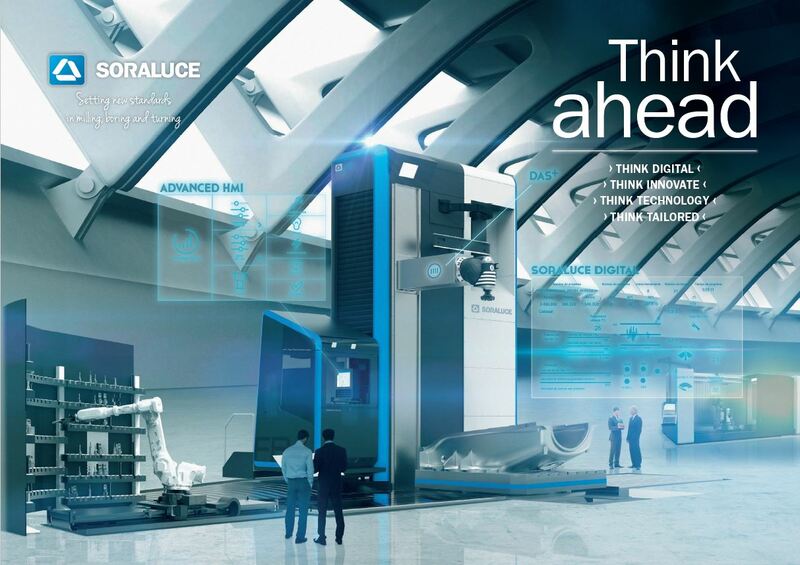 EUROBLECH the world’s leading exhibition and business barometer for the sheet metal working industry, EuroBLECH offers its audience a comprehensive idea of the prevailing technological trends. Over 60,000 of the industry’s key purchasers and decision makers and more than 1,500 exhibitors from 39 countries attended the previous show. 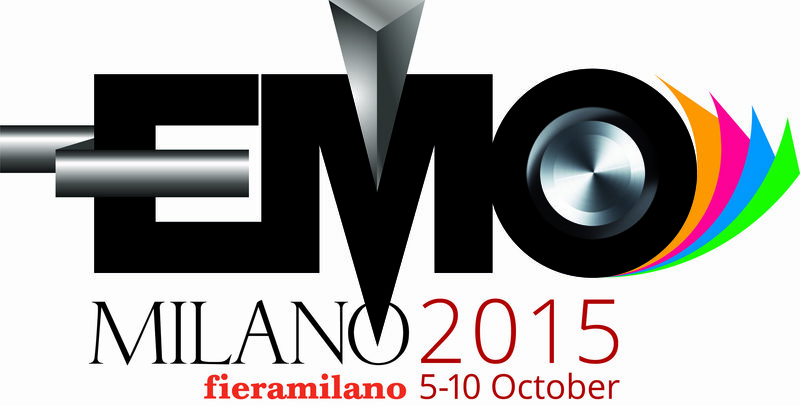 World Titanium Metal Industry Meets Here - The TITANIUM series is hosted by International Titanium Association (ITA). A non-proﬁt international membership based trade group established in 1984. The ITA’s mission is to connect the public with Member organizations who may provide technical and sales assistance. 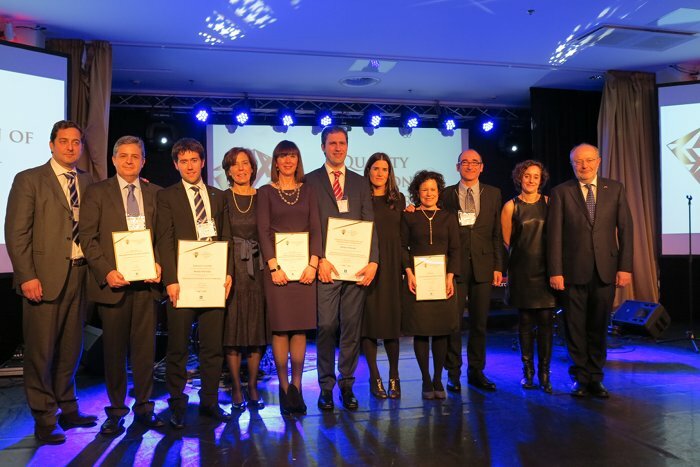 Over 200 international organizations with more than 1,600 individuals worldwide comprise the membership of the Association. 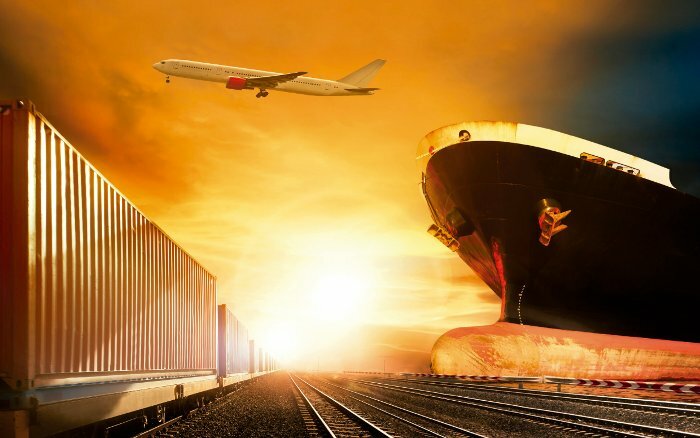 With a large number of reference projects and over 220 transport technology firms, Berlin is the main focus of Germany´s transport engineering industry and an ideal venue for InnoTrans, an international platform for buyers and sellers of passenger and freight transport technology. InnoTrans has become established as an international industry showplace focusing on Railway Technology. A full range of rail vehicles are presented in static displays on the Messe Berlin tracks located outside the exhibition halls. Other key InnoTrans features include Railway Infrastructure, Interiors (incl. Travel Catering & Comfort Services), Public Transport and Tunnel Construction. The Metalloobrabotka International Exhibition is an effective tool for implementation of the national hi-tech projects. Metal processing is a technological core of the modern industry. FIMAQH is the most important industrial event of the country in which more than 300 companies and 40 thousand national and international visitors get together and have the opportunity to know the widest machines, instruments, product and services for the productive industry offers. FABTECH Mexico co-locates with the established AWS Weldmex and METALFORM Mexico once again in 2018. COATech will join FABTECH Mexico once again, adding to the Finishing technology offered and further expanding the show. The "Mega Event" is expected to reach more than 450 exhibitors, 22.000 square metres of floor space and draw over 10.000 attendees from Mexico and Central America. 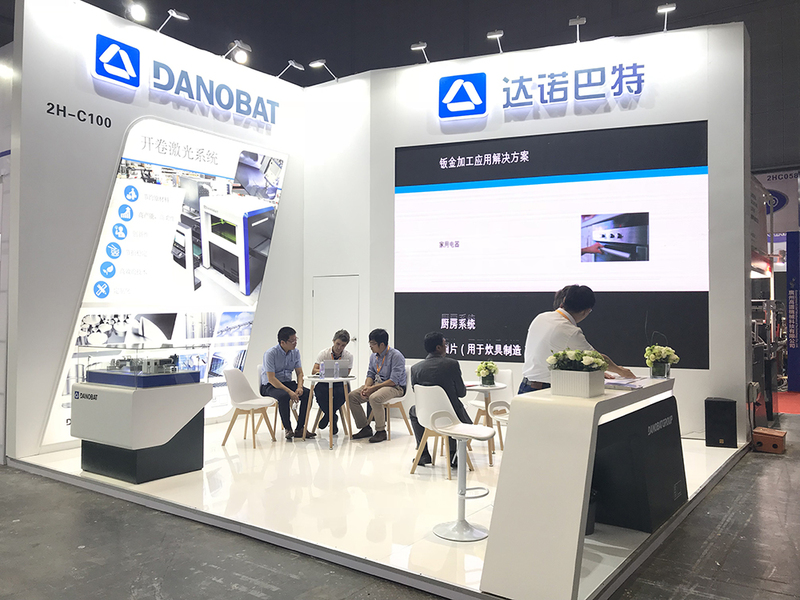 DANOBATGROUP, with its Sheet Metal Division, will participate next month of May in two important fairs for the sheet metal sector in Latin America, such as FABTECH in Mexico and FIMAQH in Argentina. FABTECH exhibition will be held at the Centro Citibanamex in Mexico City from 2 to 4 May 2018 and DANOBATGROUP will be at stand 3522. At FIMAQH tradefair, which will take place at Technopolis from 15 to 19 May 2018, the stand will be 1875. 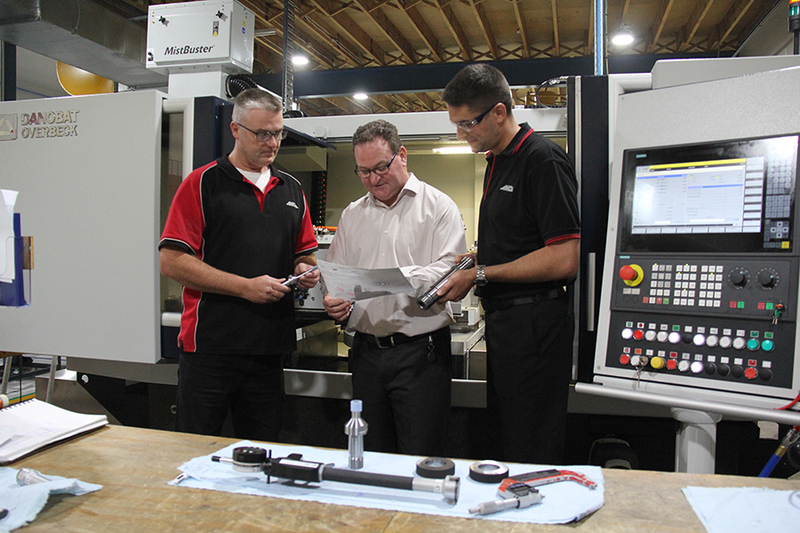 The solution is integrated into a completely automated bearing production line. 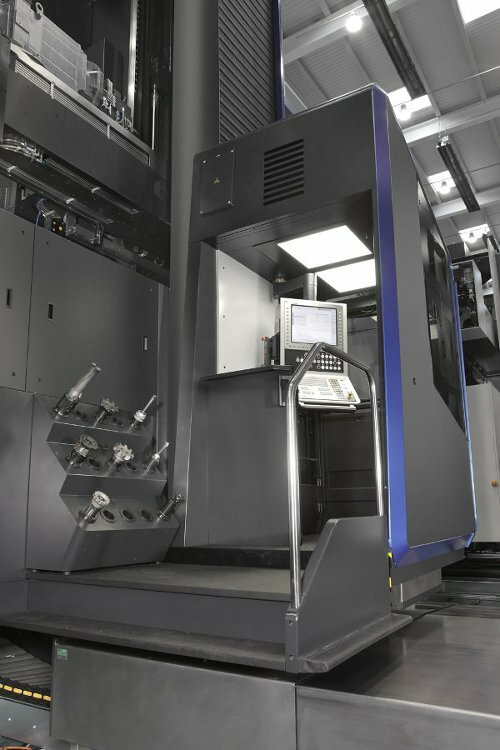 The system performs turning operations on hard materials with a high level of process repeatability and stability. 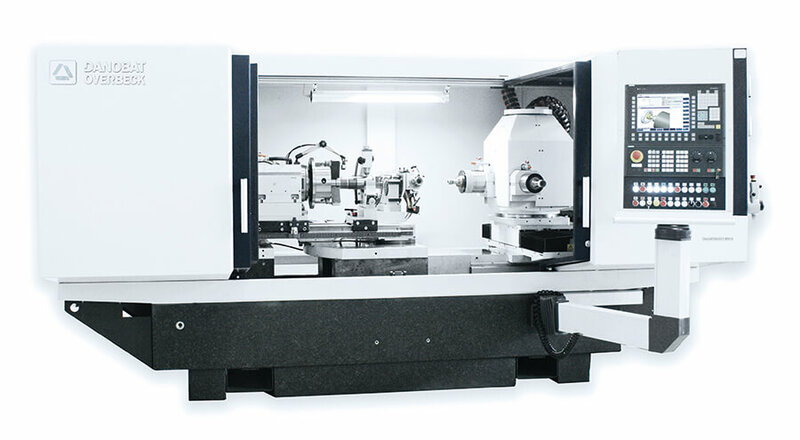 It is a solution which combines the flexibility of a lathe with the precision and production rates of a grinding machine. 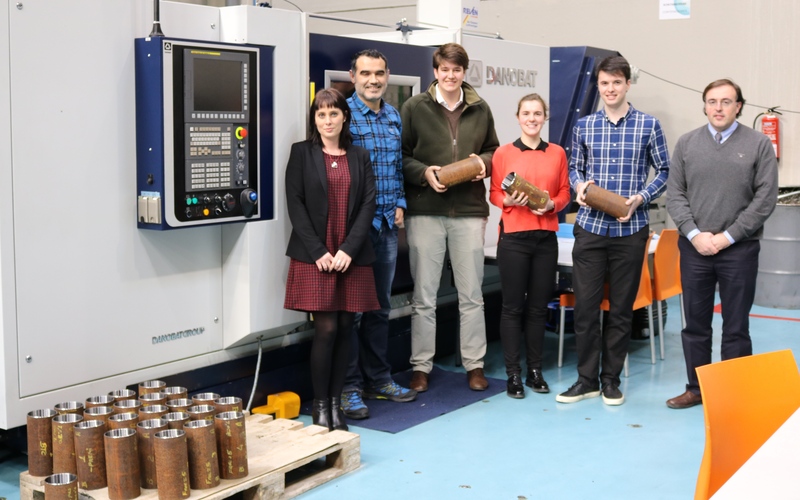 The machine tool and advanced production system manufacturer DANOBAT has developed a high-precision lathe for the bearing manufacturer NBI Bearings Europe, which forms part of the NBI industrial group. The aeronautics sector is continuously evolving. The manufacture of aircraft and components requires a constant and resolute commitment to innovation and the development of new manufacturing processes, materials and technologies that enable progress to more efficient and less polluting aviation. Attracting highly qualified talent is one of the challenges the industrial sector is currently facing while it is emerged in full transition towards digital industry. 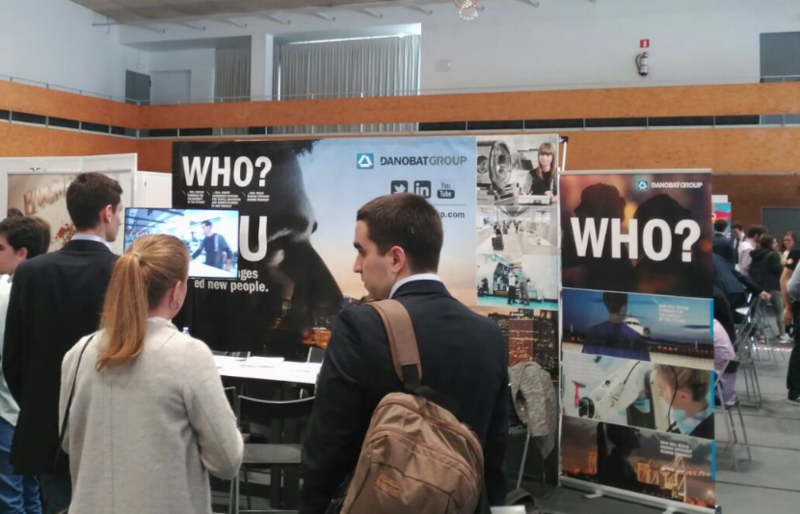 With the aim of providing opportunities for a successful career in DANOBATGROUP, the business group participated in the 10th edition of the Be Basque Talent conference held last Saturday in the German city of Munich. 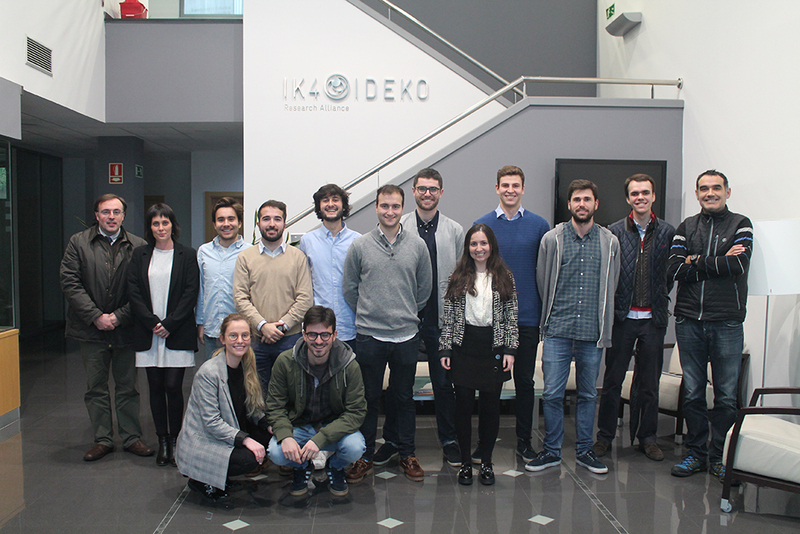 With a view to boosting collaboration among benchmark companies in digitalization and SMEs from Gipuzkoa, GOIMEK, specialised in high-precision machining, presented its Industry 4.0 skills during an event attended by a delegation from the Provincial Government of Gipuzkoa. 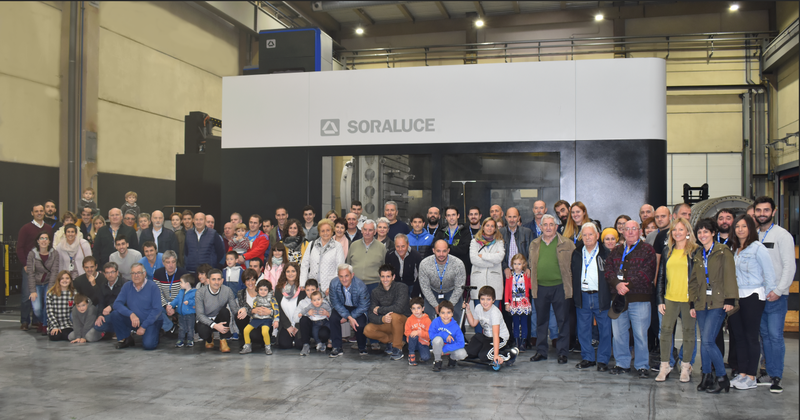 GOIMEK, a member cooperative company of the DANOBATGROUP, specialised in precision and large machining, held an open day event last Saturday with the aim of strengthening the links with workers of the cooperative and the group. More than 90 people came to the event. 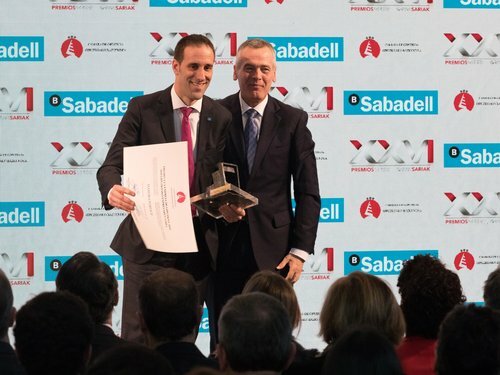 The company, specialised in machining high added-value parts for the aerospace or energy sectors, among others, opened its facilities, located in Itziar and Mallabia, both to workers as well as to their relatives and friends. The visitors had the opportunity to learn more about the work carried out in the cooperative, and to see for themselves the equipment with cutting-edge technology, and high-precision, high-productivity machines, as well as state-of-the-art verification systems. 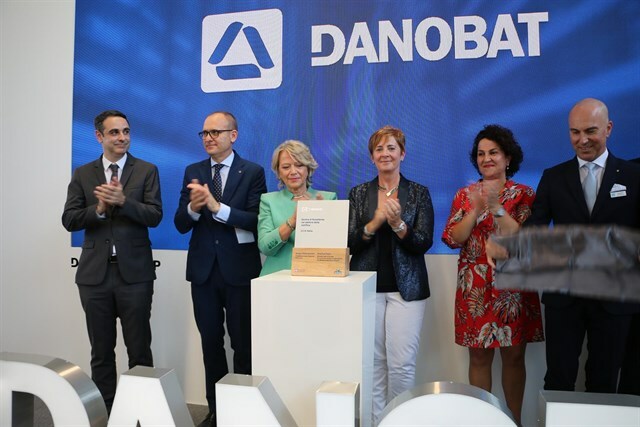 The Assemblers School Workshop of DANOBATGROUP has been selected as a success case by the Alliance for Dual Vocational Education and Training (VET), an initiative aimed at improving the quality of education of young people sponsored by the Bertelsmann Foundation. 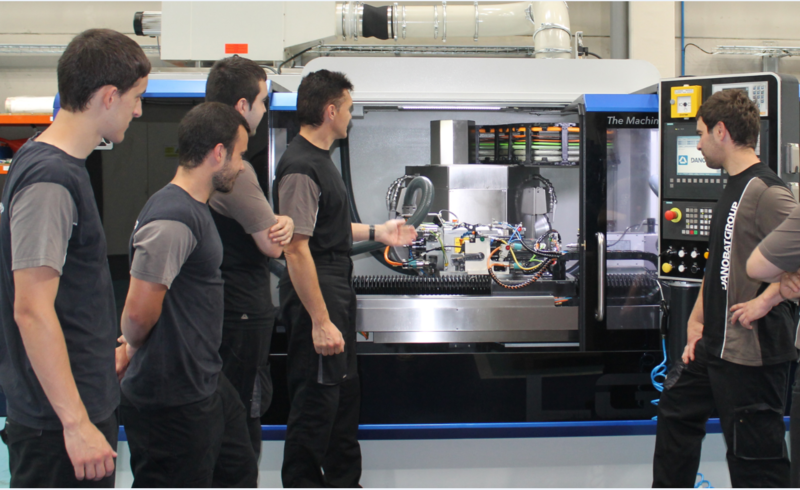 The training model given at the training facilities of the Basque machine tool manufacturer has been included as an example of good practice on the digital platform of the Alliance, a statewide network formed by companies, educational centres and institutions that pursue improvement of youth employability through Dual VET. 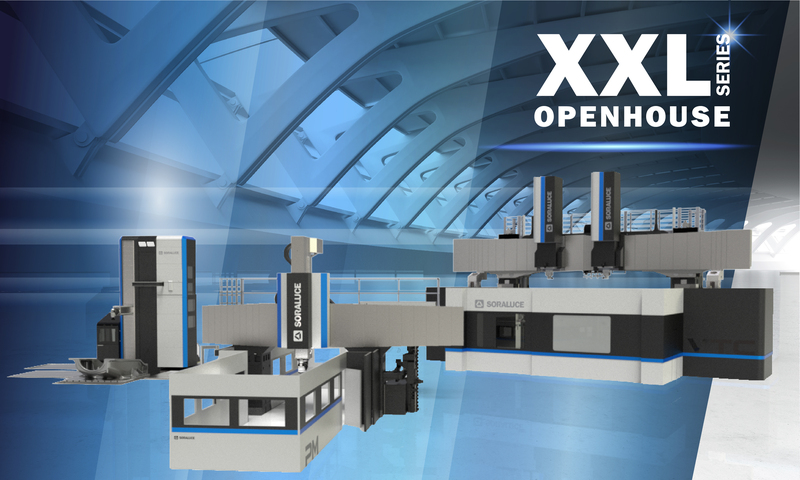 The machine-tool manufacturer has designed a high-output fully automated flexible system which can be adapted to clients´ needs. The solution, developed for an iron and steel multinational company, facilitates cutting high added value steel tubes while minimising material waste. 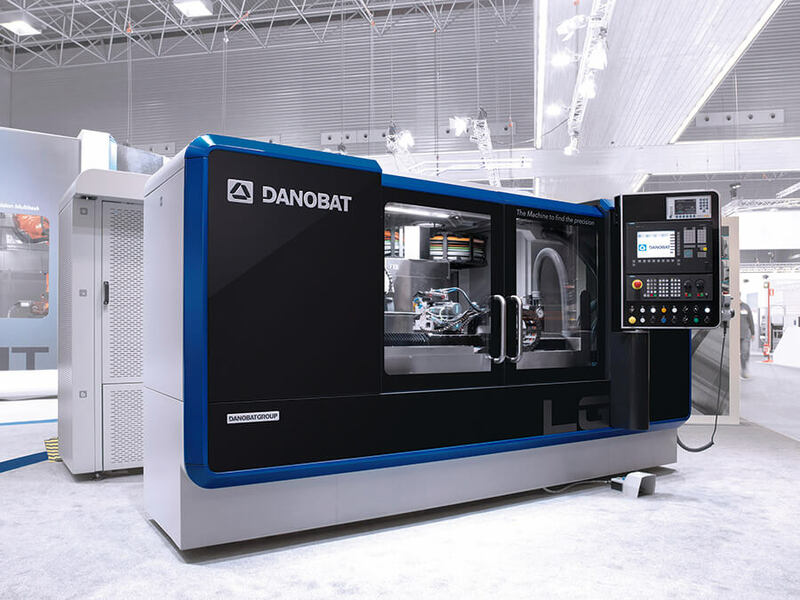 DANOBAT, the machine-tool manufacturer, has developed a high-precision multi-disk cutting solution aimed at cutting high added value steel tubes used in strategic sectors such as oil&gas, automotive or bearing manufacturing. 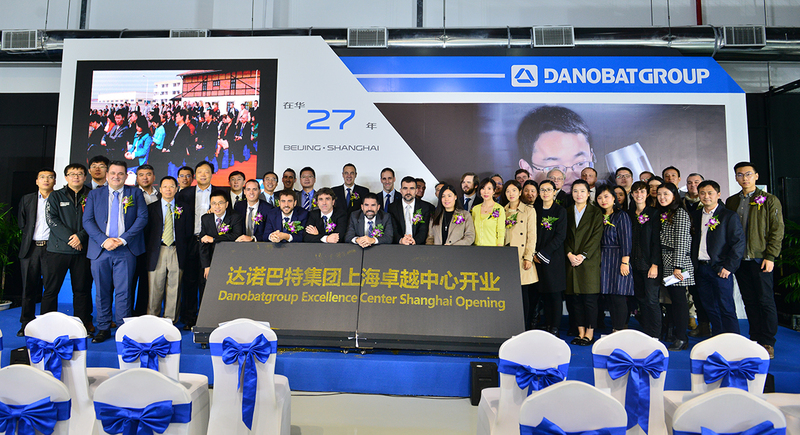 The first promotion of specialists in advanced manufacturing machine tool projects formed at the DANOBATGROUP Assemblers Workshop School has been graduated. The specialist students have completed the third year, a singular degree the industrial group offers to students who have completed higher vocational training at the educational centre of the company. The course contents provides students with knowledge on the actual operation of manufacturing environments and the certificate given on completion facilitates access to the labour market. 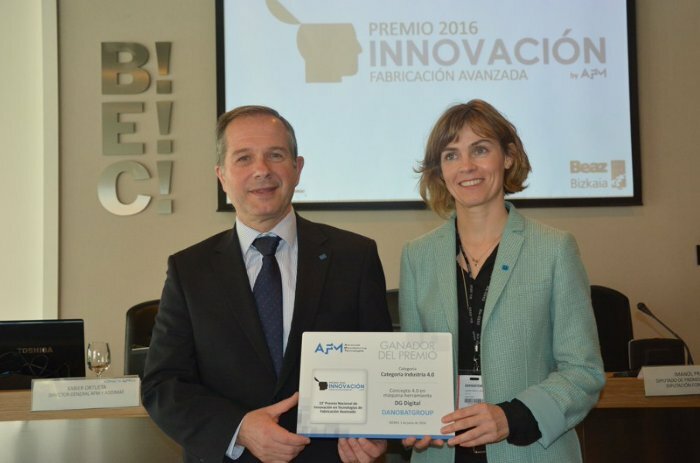 The machine tool manufacturer collaborates with the start-up Innovae in the framework of the Business Acceleration Program Bind 4.0 of the Basque Government. 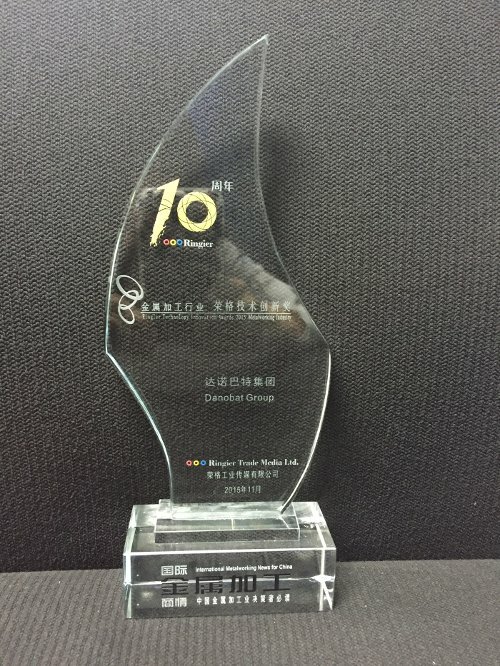 The project foresees the application of augmented reality and 3D recreation models for the display of data on the operation of equipment. 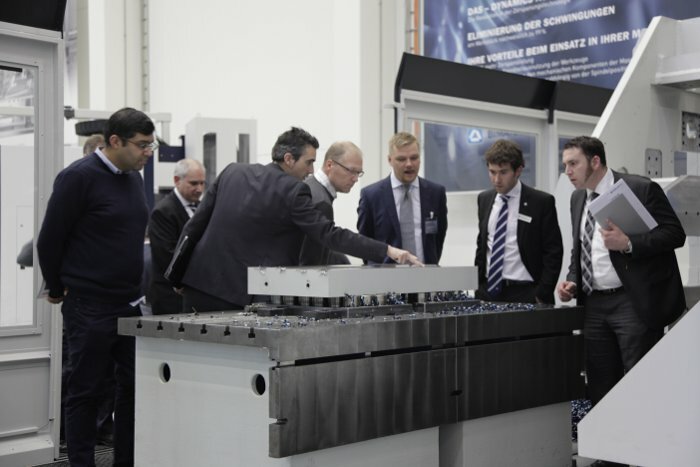 This initiative was presented in the area dedicated to young technology companies at the Hannover Messe. 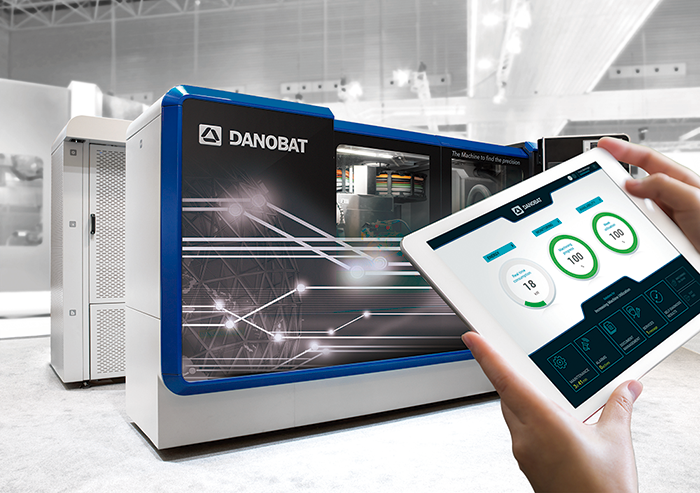 DANOBAT sheet metal division, is taking part in the 14th edition of the FABTECH 2017 exhibition, which will take place from 2 to 4 May at Cintermex, Monterrey, N.L. Mexico. 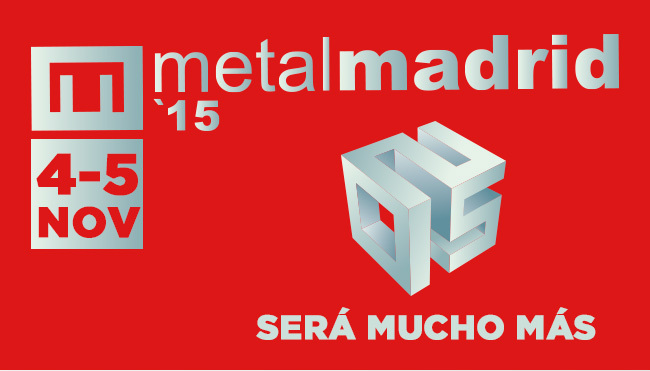 FABTECH MEXICO 2017 is an international meeting of the the machine tool sector in Mexico, in which DANOBAT SHEET METAL will be present together with its agent in Mexico, DISMA, booth no. 1705-1505. 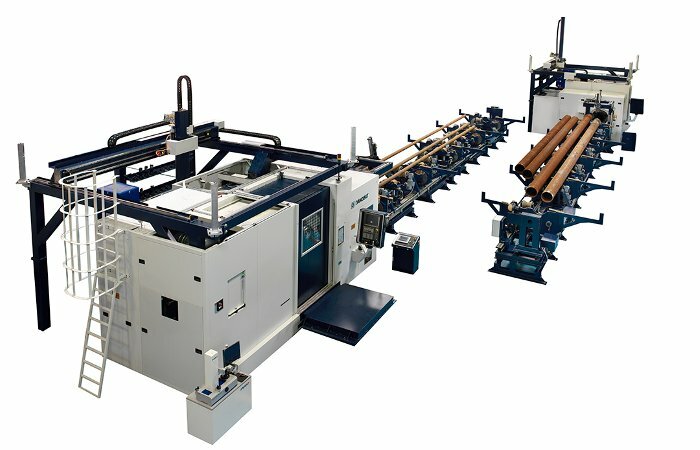 At this booth, we will show the CHROMA electric punching machine, which is the star in DANOBAT punching machines range. The high productivity and precision levels it reaches make it the ideal solution to cover the most demanding production requirements. 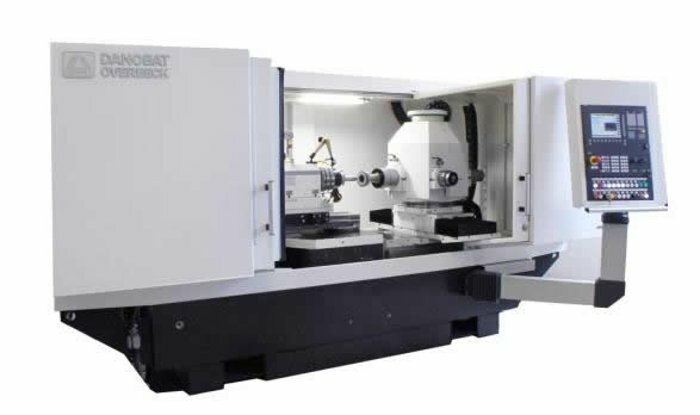 Equipped with a 30 Tn servo-electric motor achieves very high punching rates. 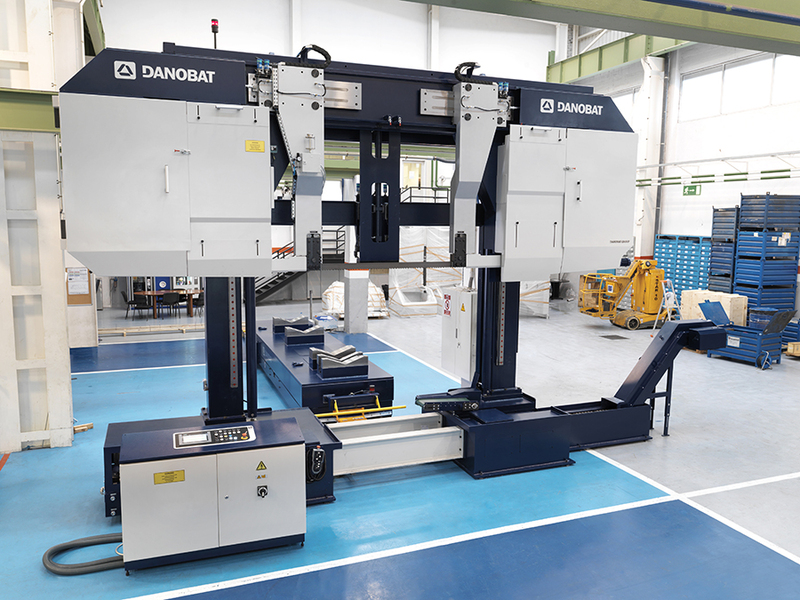 Machine-tool manufacturer DANOBAT has developed a pioneering wireless cutting solution designed to cut large steel ingots used in high value-added sectors like automotive and energy generation. The introduction of digital technologies in industry and the search for new formulas that increase the efficiency of production processes results in the demand for new increasingly qualified professional profiles with the ability to respond to the major changes being experienced by the industry. 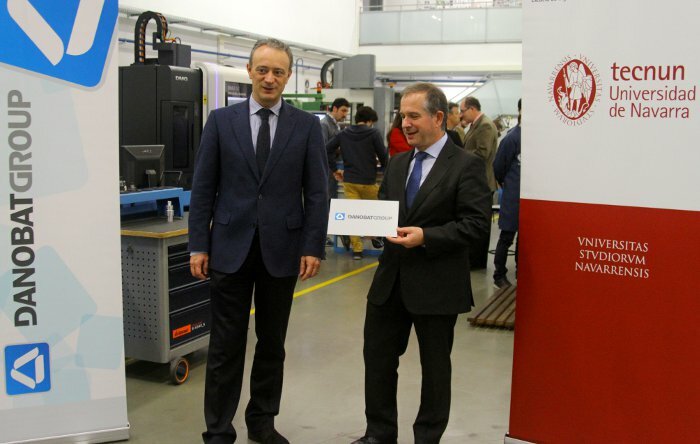 In this context, the Basque Government and the machine tool manufacturer DANOBATGROUP have signed a protocol that seeks to establish a joint working framework to promote Dual Vocational Training (VT) projects, an educational model that is characterised by the combination of a solid theoretical programme with practical experience in real production environments. 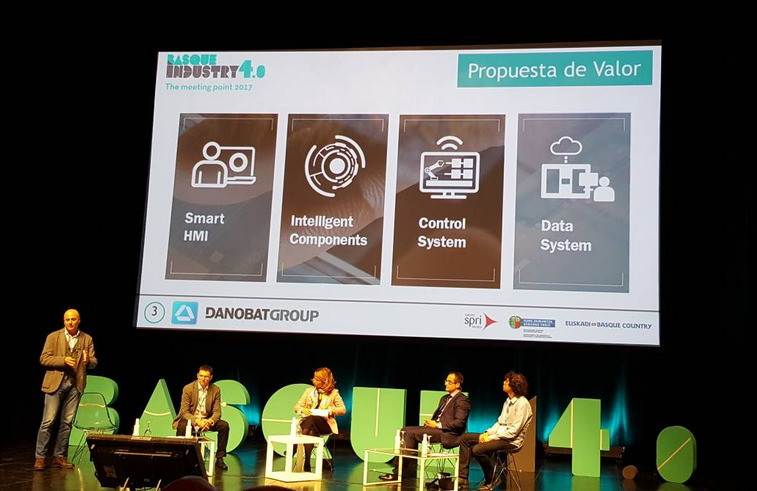 The agreement, which has been initialled today by the President of the Basque Government, Iñigo Urkullu, and the managing director of DANOBATGROUP, Pello Rodríguez, also considers working on the creation of new specialisation profiles that respond to the needs of industry. GOIMEK S.Coop cooperative, part of the DANOBATGROUP and a specialist in precision machining and large part machining, will be exhibiting its range for the aerospace sector during the third Paris Space Week event, the only event in Europe devoted to space that brings together the most important agents in this sector. The fair will be a good occasion for reinforcing its positioning on the French aeronautics and space market. 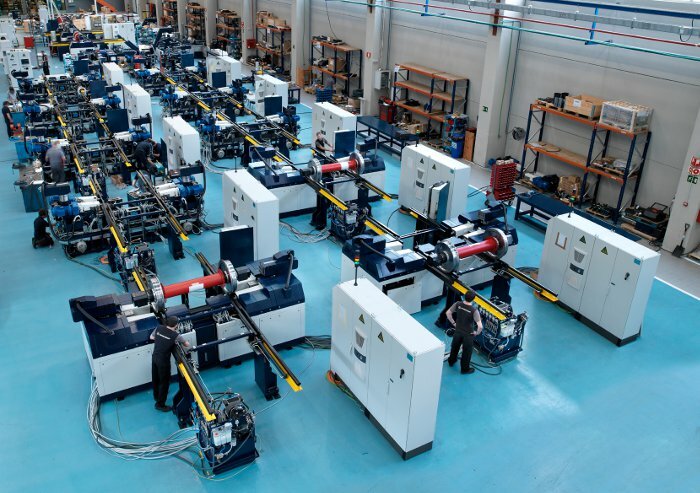 The company has more than 30 years of experience in the sector offering machining services for parts with complex geometries, parts with high precision standards and machining solutions for demanding materials such as alloys of stainless steel and aluminium, titanium, inconel, invar, bronze, copper, etc. 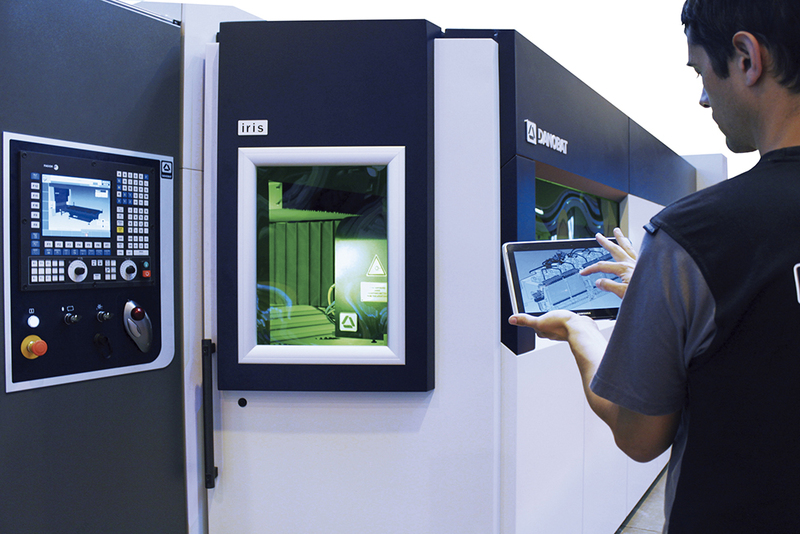 The LG incorporates the very latest technology with the aim of ensuring an efficient, productive solution that guarantees optimum-quality machining. It is equipped with a CNC-controlled follow-up steady rest that guarantees optimal roundness, even in the slenderest of parts. 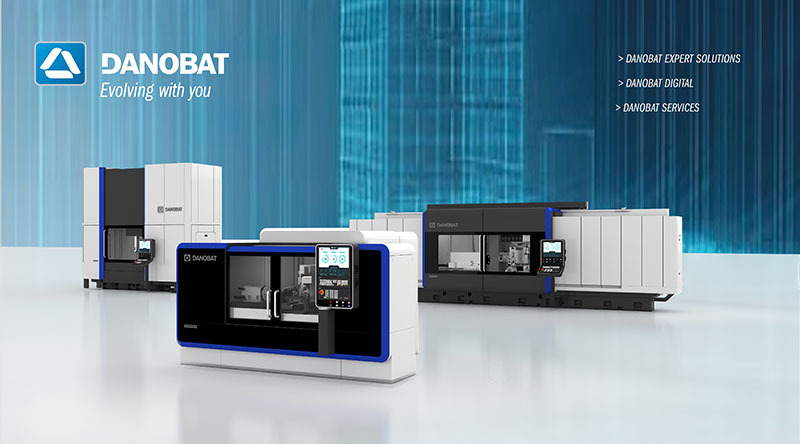 DANOBAT has a team of highly-qualified design, process and project professionals who work in close collaboration with customers, listening closely to what they have to say in order to understand and adapt their machining solutions to their specific needs. 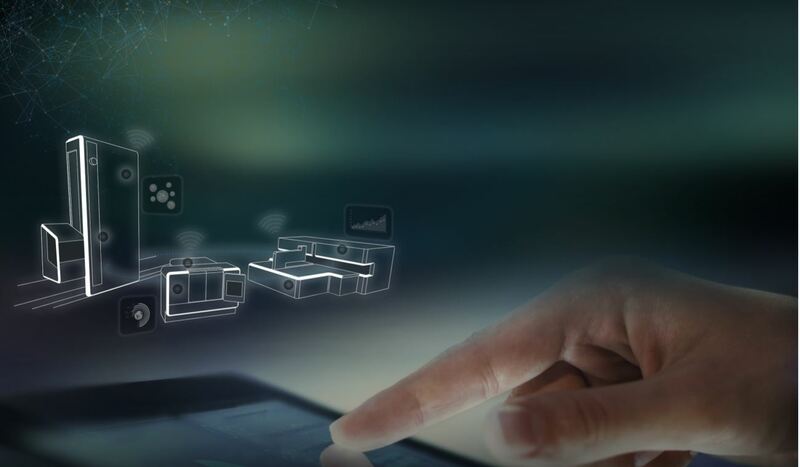 In recent years, there has been an increasing trend to include information and communication technologies into industry that is transforming manufacturing environments. 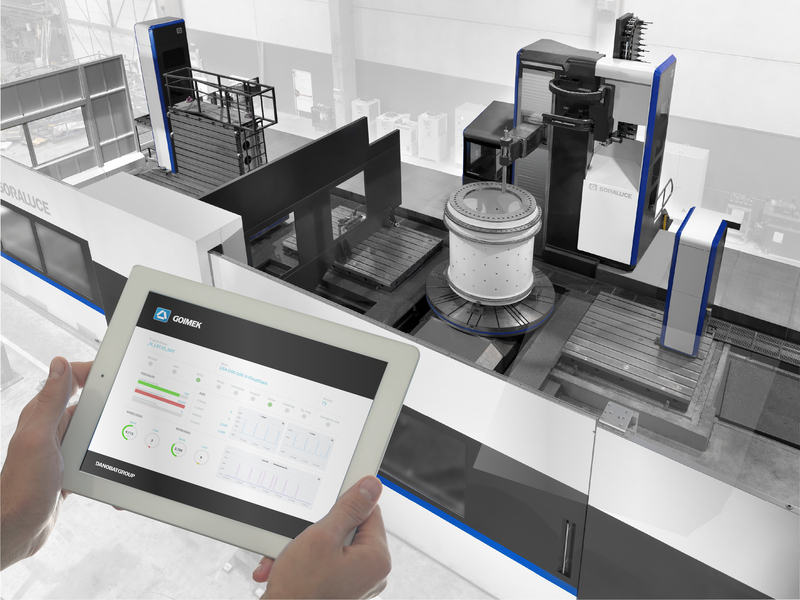 The connection of production equipment to capture real-time data on what is happening in the machine and in the machining process allows decisions to be made with a thorough knowledge of all the variables that affect the manufacturing process, and make it possible to progress towards increasingly intelligent factories and more efficient and flexible production systems. The division specialised in railways of DANOBATGROUP continues to expand its market share with a major order from Bombardier Transportation. The Canadian company has awarded the cooperative a contract for the delivery of a DANOBAT underfloor wheel lathe for the re-profiling of train wheels. 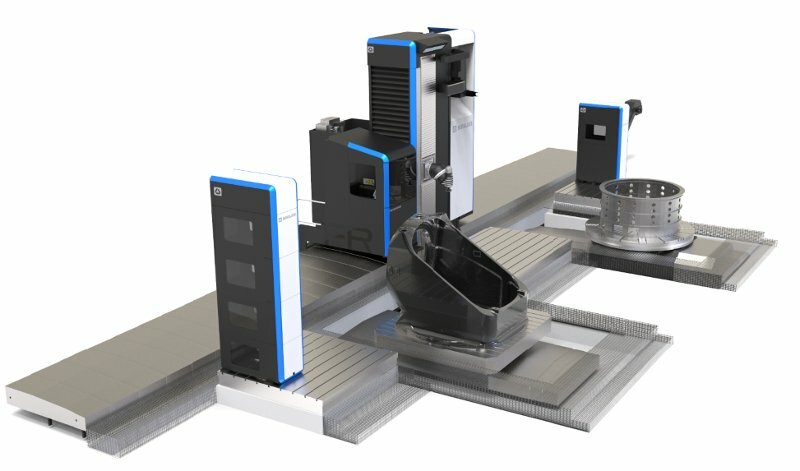 The DLR model is capable of machining train wheels and brake discs. The machine features an option to work both with the axles still attached to the vehicle or with removed wheelsets and bogies. 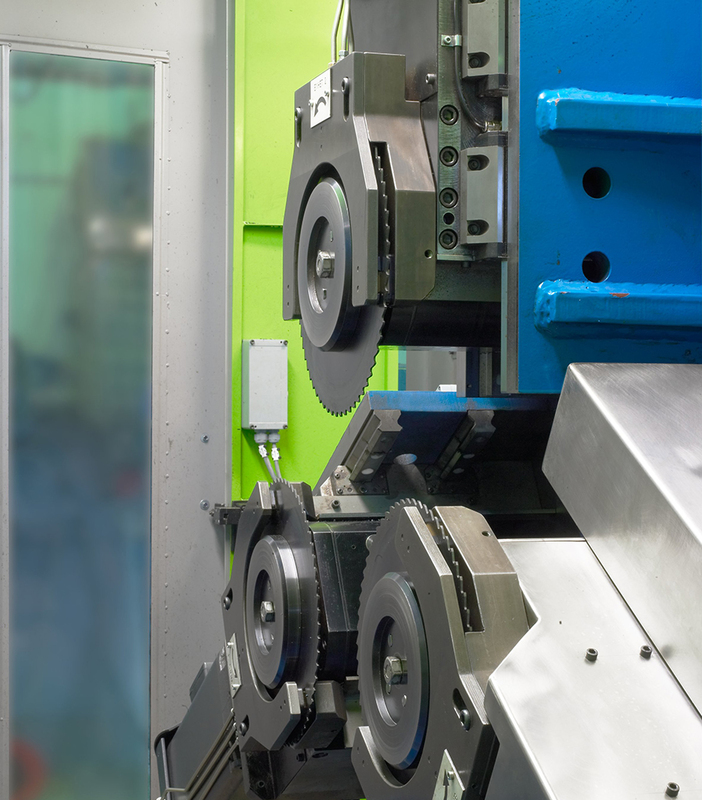 The many different configurations offer several machining capacities: wheel profile, inside and outside surface of the wheel, brake disks located on the inside or end of the axles as well as on the wheel, etc. 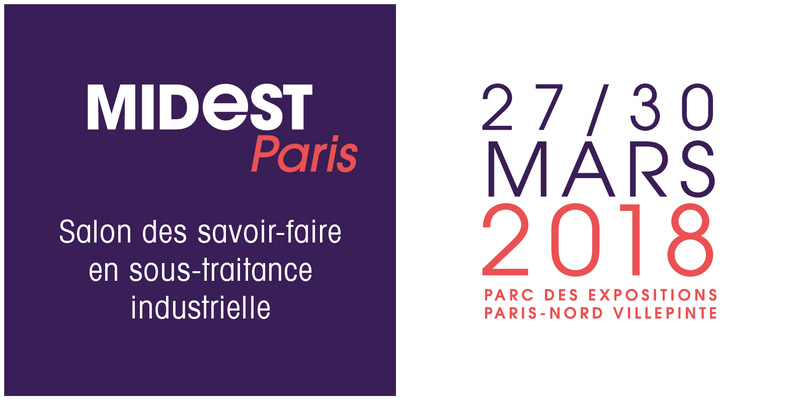 The GOIMEK cooperative, member of the DANOBATGROUP and specialised in precision machining and large part machining will be exhibiting its services at stand E97 at the MIDEST 2016, one of the most important industrial outsourcing trade fairs in the world, which is held annually in Paris. The trade show is extremely important to this business unit, as France is its natural export market on account of its proximity and the type of service it offers. 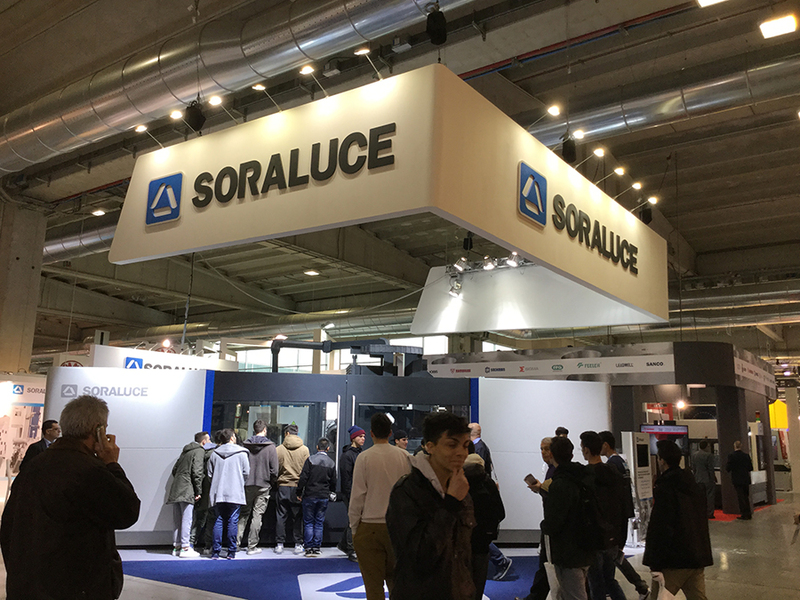 At the same time, the fair will be a good opportunity to strengthen its position on the French aeronautics market, which is currently the main market in light machining. 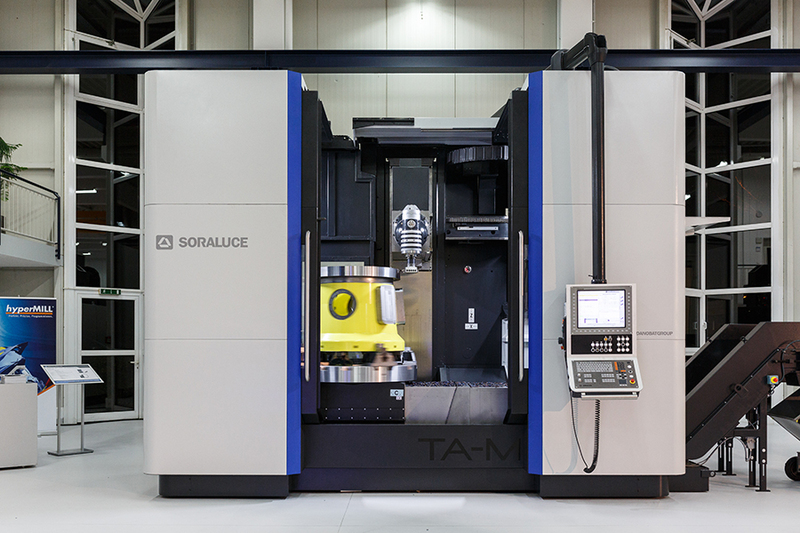 Also, the event will enable the manufacturer to showcase its heavy machining services since the French market has a great potential for this type of machining, particularly in the capital goods industry. 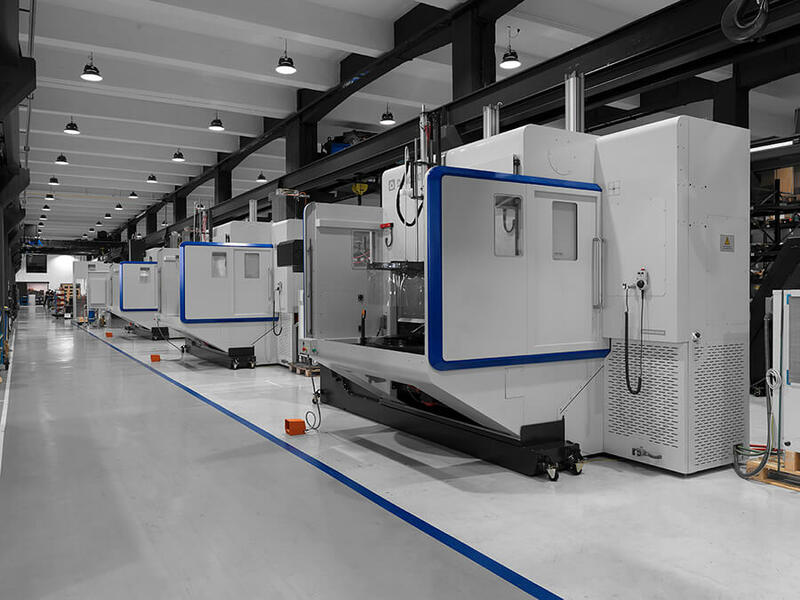 The company will exhibit its services in light and heavy machining, offering high added value solutions at a competitive cost for the customer. Its light machining services are characterised by its specialisation in prototyping and short runs, knowledge and experience of machining complex materials such as titanium, Inconel, stainless steel, etc. and its extensive experience with aluminium parts. 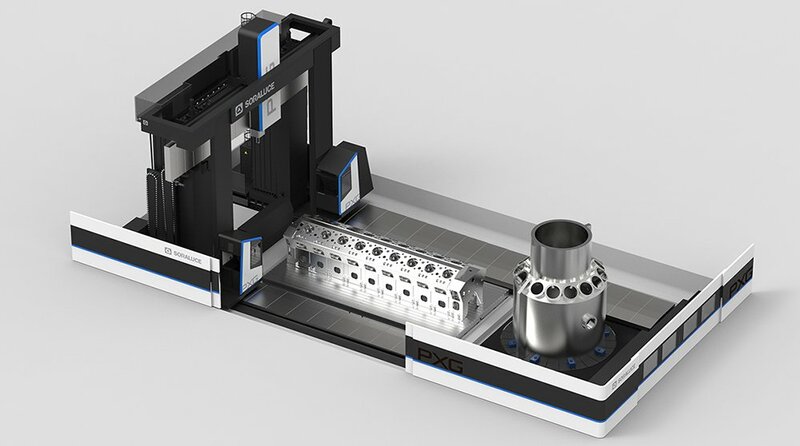 Its heavy machining services are notable for large-sized part machining , its capability for producing short, medium and long runs and the possibility of 3D verification of parts up to 6m long. 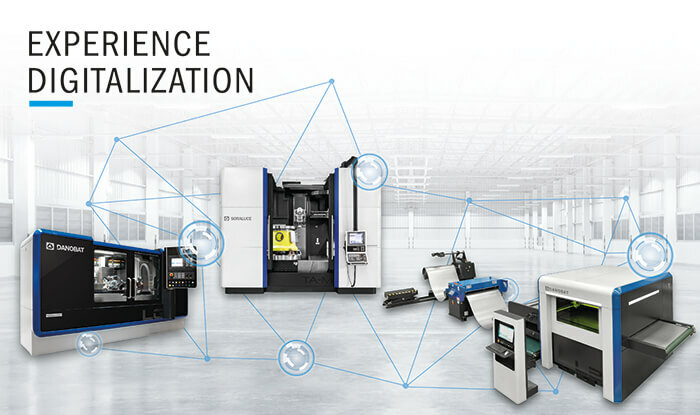 Furthermore, the experience and specialisation in machine tool parts guarantee its capabilities as regards precision and meeting delivery deadlines. 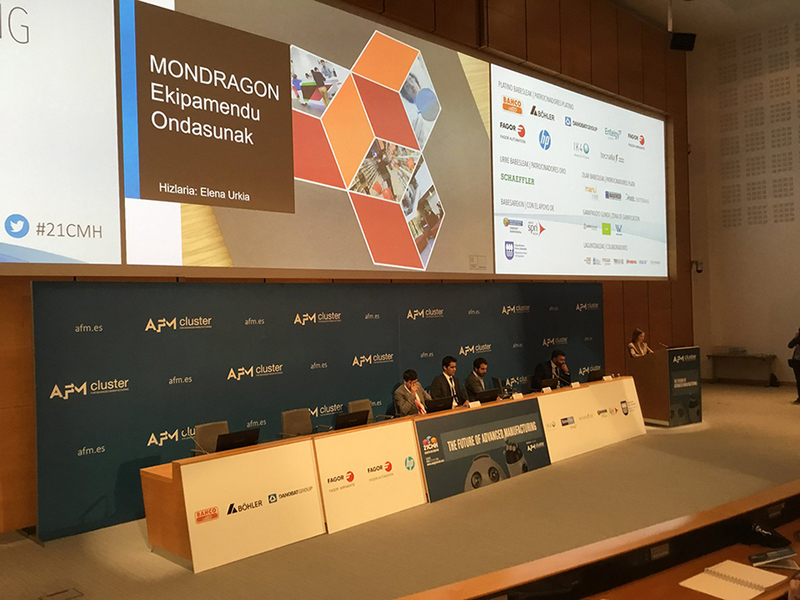 DANOBATGROUP has been selected along with ABB, CAF, CIE Automotive, Euskaltel, Iberdrola, ITP, Mercedes, Michelin, Microsoft, Repsol-Petronor and Siemens to participate in “BIND 4.0 StartUP! 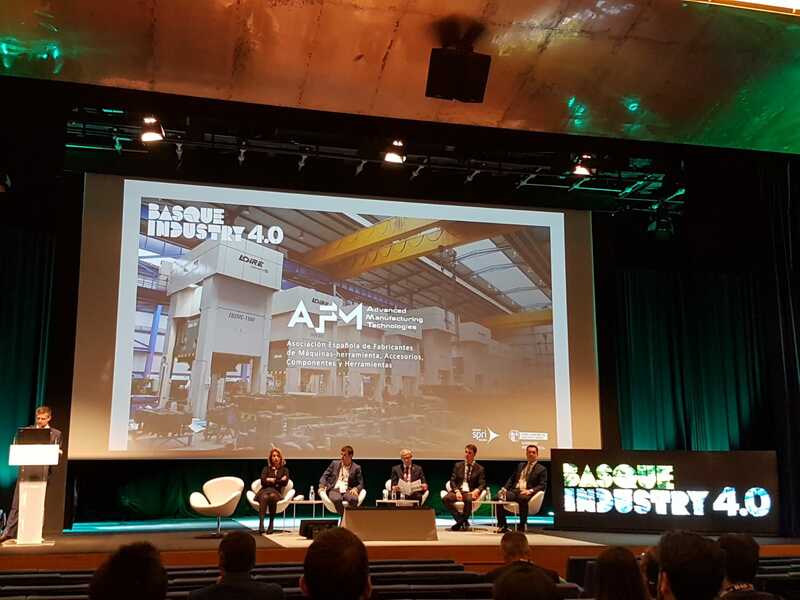 Basque Industry 4.0 Accelerator Program´, a public-private start-up accelerator to attract to the Basque Country innovative business initiatives from around the world that combines the recruitment of talent for businesses and the acceleration of start-ups in the field of industry 4.0. 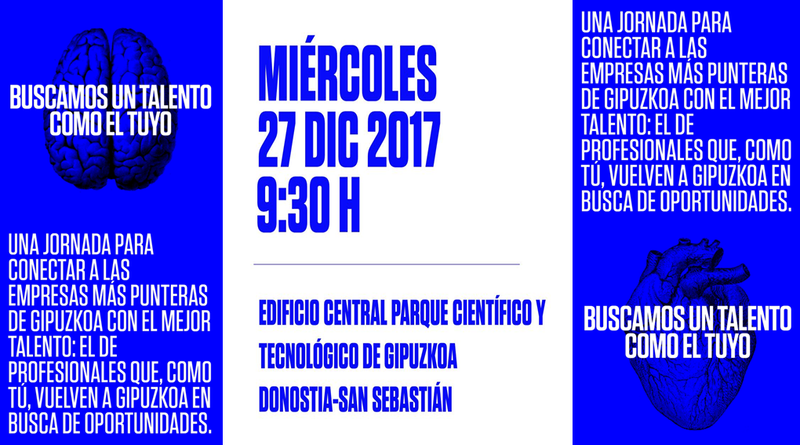 The main objective of BIND 4.0 is to strengthen the industrial ecosystem and Basque entrepreneurship through a pioneer program whose expected duration is 24 weeks, between November 2016 and May 2017. 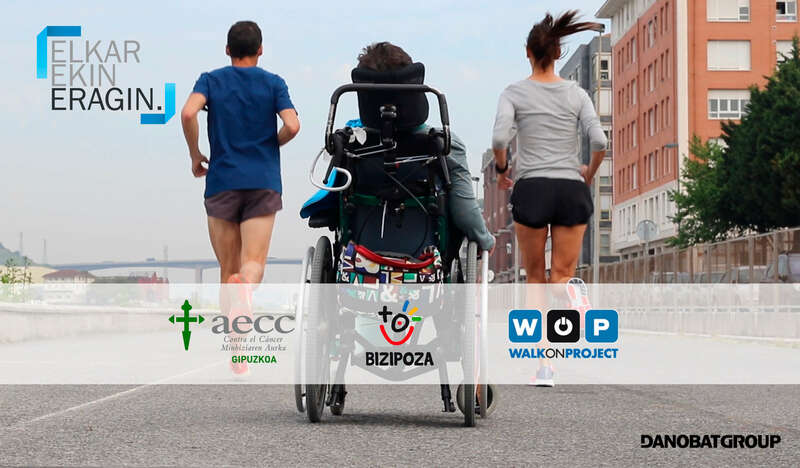 Framed in the Interinstitutional Plan for Business Support, BIND is an initiative driven by the Basque Government and the Basque business development agency SPRI, together with the Provincial Councils and the BICs of Araba, Bizkaia and Gipuzkoa. DANOBATGROUP will sponsor Rail Depots & Workshops Modernisation 2016 conference, which will take place on May 25-26 in London. 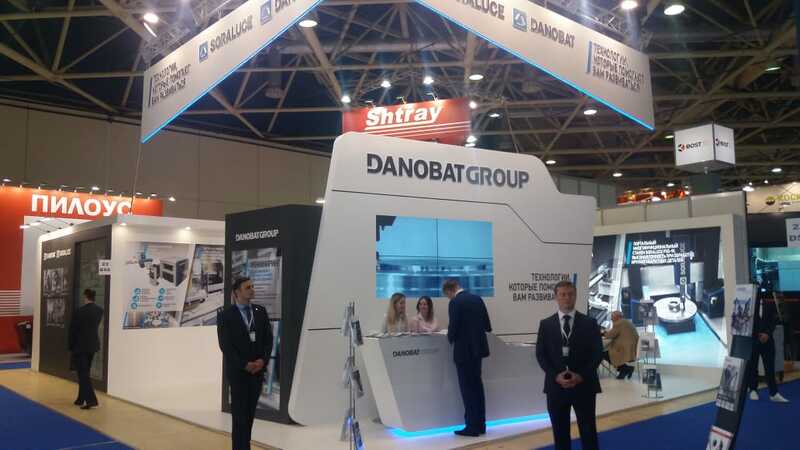 Among other things, DANOBATGROUP will show how the company works as a technology partner in the railway sector, providing complete solutions to its clients from project planning to final execution as well as the notable railway equipment life span. Thanks to DANOBAT engineering products & services clients are capable of disassembly, repair, reassembly and final inspection of complete bogies & wheelsets components automatically on their facilities. DANOBATGROUP will be participating in the International exhibition for Equipment, Instruments and Tools for the metalworking industry in Moscow, from 23 to 27 May 2016. 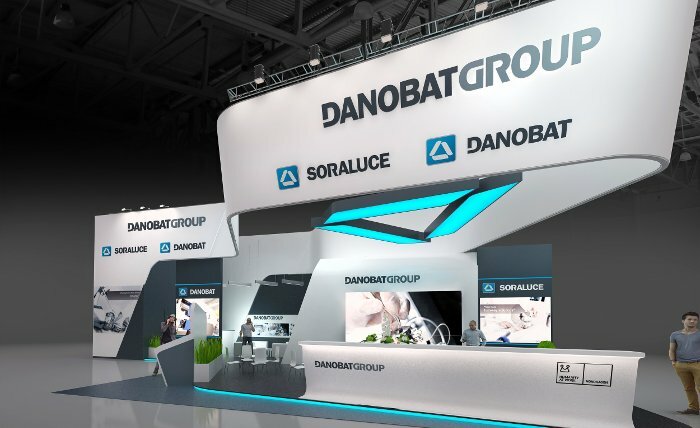 DANOBATGROUP will be showcasing the latest DANOBAT and SORALUCE innovations in machine tools and manufacturing processes on grinding, turning, milling-boring, punching, bending and laser cutting in Hall 3 Booth B90. 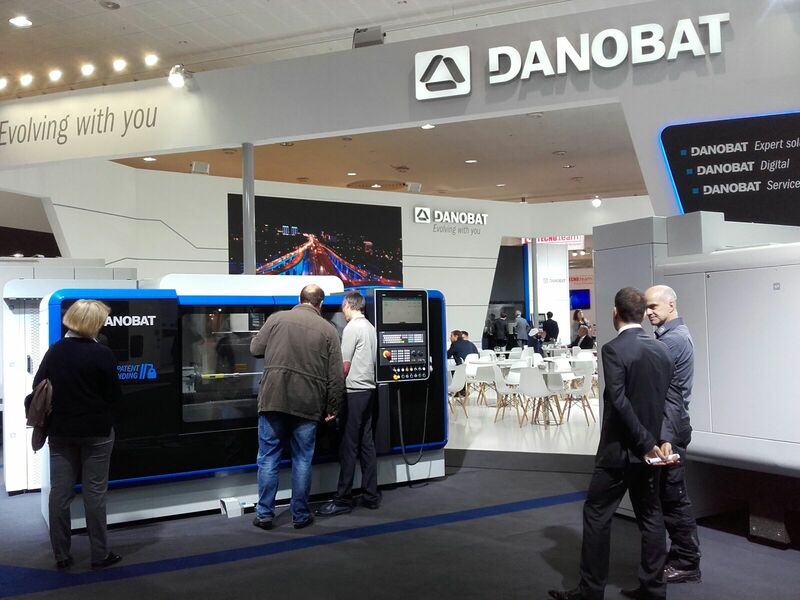 A key element to DANOBATGROUP´s presence at the exhibition will be the company´s industry-leading technologies for the most demanding sectors, such as railway, aerospace, oil&gas and wind energy, among others.These solutions are the result of a solid experience in machining processes and close collaboration with leading companies in the sector on totally automated solutions installed in any part of the world. FABTECH exhibition will be held at the Centro Banamex in Mexico City from 4 to 6 May 2016 and DANOBATGROUP will be at stand 3128. 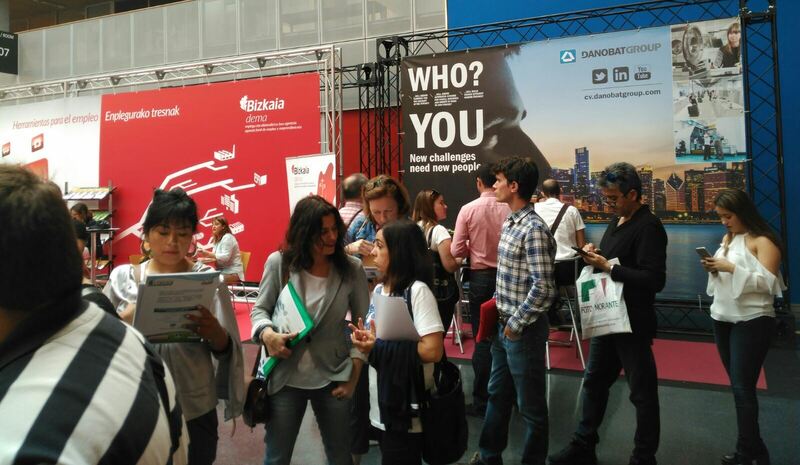 At FIMAQH tradefair, which will take place at Technopolis from 10 to 14 May 2016, the stand will be 1824. 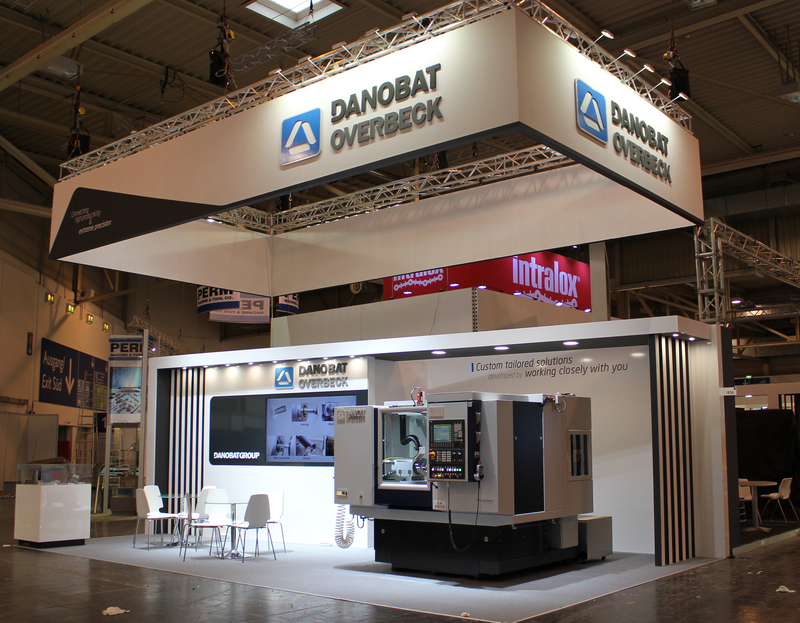 DANOBAT has dedicated two-day open day to show live demostrations to their customers of the DANOBAT-OVERBECK IRD-400 High Precision Radius Grinding machine, as well as, announce the new re-control / rebuild program that the company is offering. 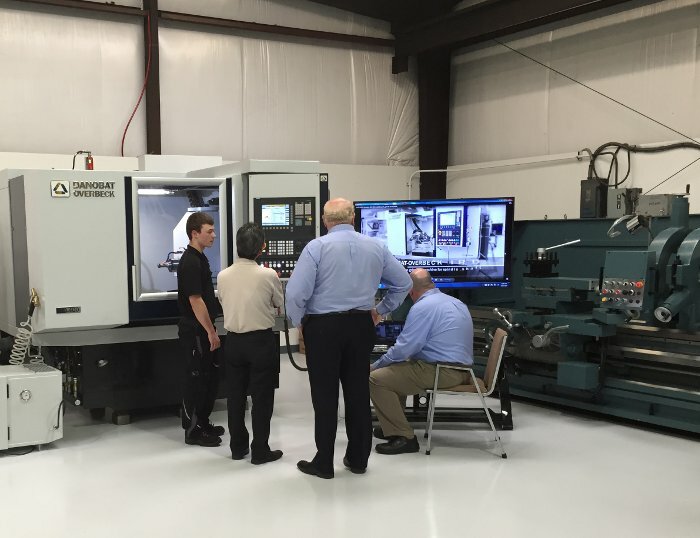 The presentation responds to the demands of the market of high quality machines. 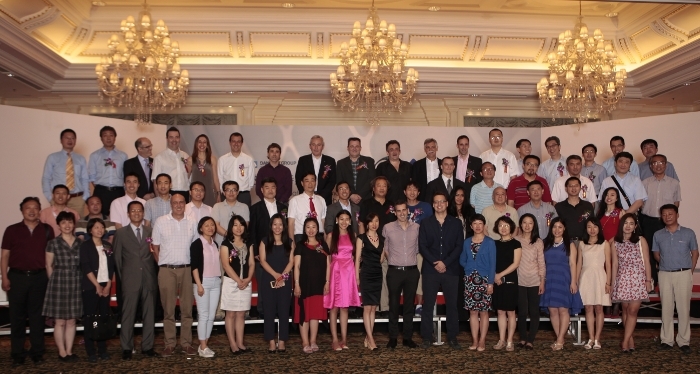 In addition to customers, the day brought together representatives of main industries, who attend these days looking for high technology that allows them to confront their projects with the highest guarantees of success. 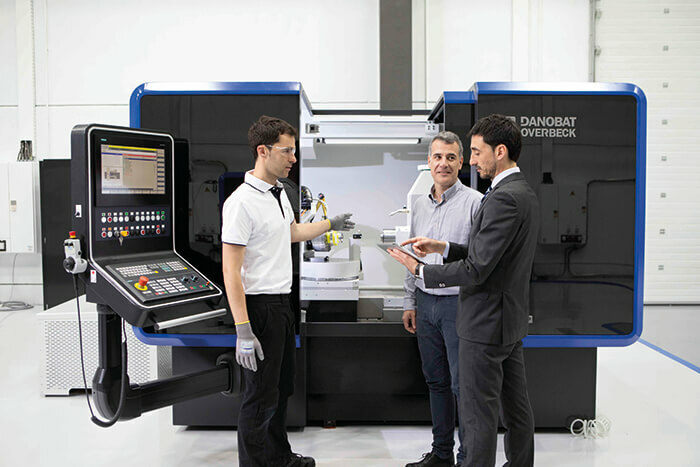 Manex Ochoteco, DANOBAT Machine Tool President, valued assistance to these days positively: "since it was our first edition, we did not expect such assistance, which encorages us to organize new exhibitions in the near future". 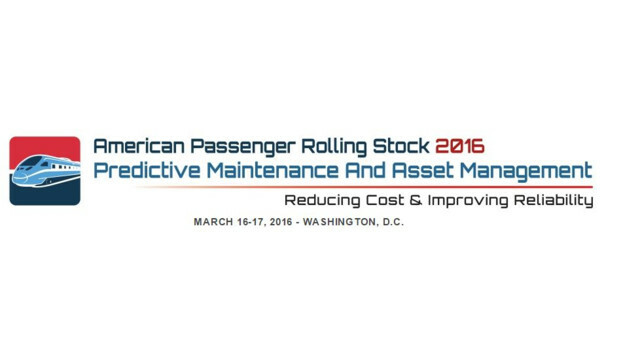 DANOBATGROUP exhibits its railways maintenance solutions at the American Passenger Rolling Stock Congress in Washington D.C.
DANOBATGROUP co-sponsors the American Passenger Rolling Stock 2016 congress that will be held in Washington D.C. from 16 to 17 March. This congress will be focused on implementing asset management and enhancing state of good repair to minimize cost, reduce downtime and increase reliability. Ander Azkarate, head of the department research and innovation for solutions in the railway sector, will explain the procedure the company follows when a new project for the railway sector is started and how the final delivery goes far beyond simply supplying a machine. The international company Tubos Reunidos has its new facility ready with DANOBAT machines for the manufacture of threaded pipes and hoses. The project is the result of the joint venture of Tubos Reunidos and Marubeni; the premises total some 31,500 square meters with, amongst others, a workshop where the DANOBAT machines manufacture the threaded pipes. The new production line will manufacture highly technological pipes, specifically threaded pipes for drilling and production of oil and gas wells. DANOBAT machines finish off the pipes with patented PREMIUM threads, that provide superior performance compared to standard threads. ´They are perfectly suited for work on sites at 4,000 or 5,000 meters depth´, explains Carlos San Martín, director of technology and development of Tubos Reunidos Industrial. The Company was awarded two contracts for two DANOBAT underfloor wheel lathes for reprofiling wheels of trams that will be running in those cities. 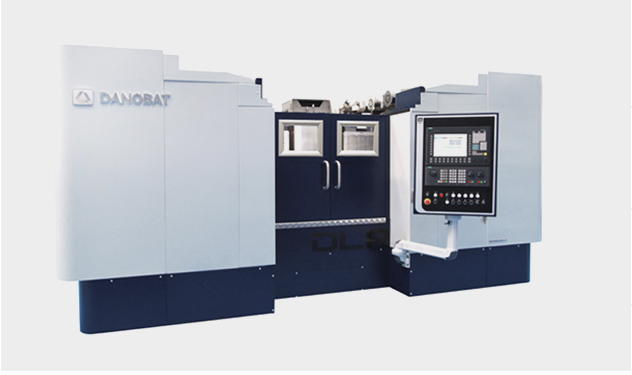 The DANOBAT underfloor wheel lathes are machines specifically designed for corrective maintenance of wheels and brakes. This operation, performed without disassembling the train wheelset, regenerateswheel profiles subjected to wear and deformation caused by the wheel-rail contact. The agreement will enable the future engineers to gain a realistic and practical in-depth knowledge of Industry 4.0 processes. 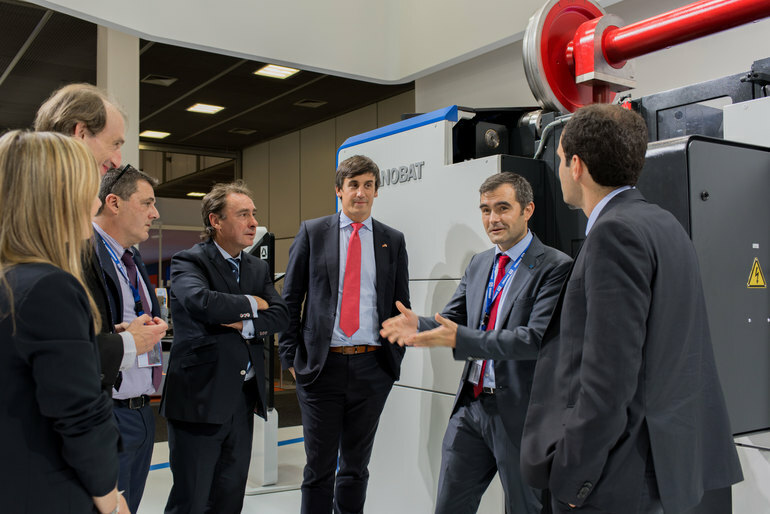 Antxon López Usoz, Director of Innovation of DANOBATGROUP, and Iñigo Puente, director of TECNUN, have signed a collaboration agreement that will provide the future engineers with first-hand knowledge of projects and experiences of the leading machine-tool manufacturer in Spain. DANOBATGROUP co-sponsors the Rolling Stock Fleet Maintenance congress that will be held in London from 9 to 10 December. Ander Azkarate, head of the department research and innovation for solutions in the railway sector, will explain the procedure of the company when a new project for the railway sector is started and how the final delivery goes far beyond simply supplying a machine. 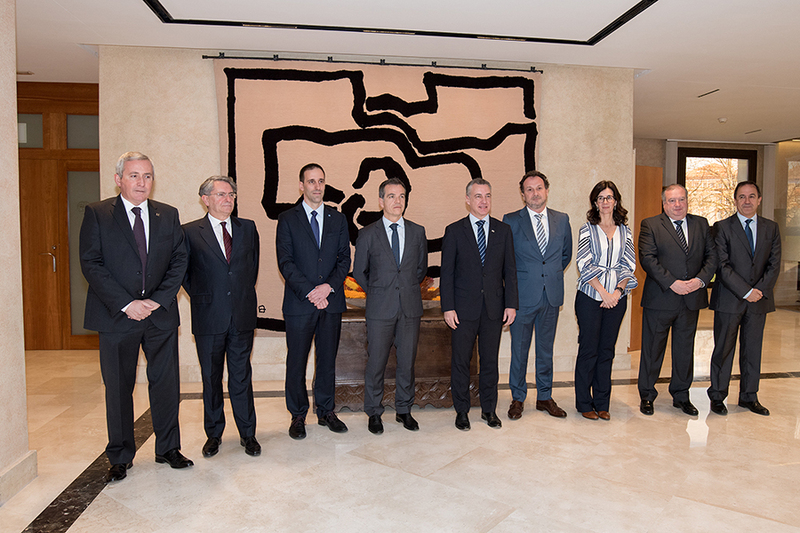 The Basque group strengthens its position as a leading supplier of value-added services that complete its offer of turnkey machines and production lines. The agreement entails the creation of an internationally available service package for machine monitoring and big data processing in manufacturing environments. Goimek cooperative integrated in DANOBATGROUP and specialised in precision machining and large part machining will be exhibiting its services on stand U161 in Hall 6 at MIDEST 2015, one of the most important industrial outsourcing fairs in the world, which is held annually in Paris. The fair is extremely important to this business unit, as the French aeronautical market is its main market for light machining services and France is its natural export market on account of its proximity and the type of service it offers, as well as a potential market for developing the heavy machining business, above all in the capital equipment sector. 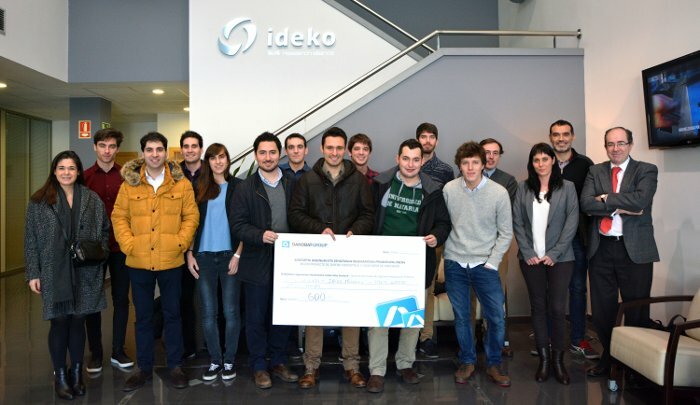 The financial institution of the European Union grants a loan of 10 million euros for RDI activities to the first Spanish machine tool manufacturer. 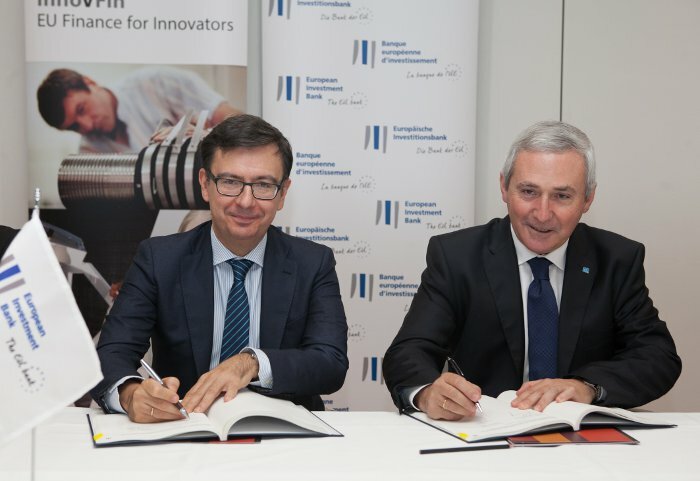 The European Investment Bank (EIB) has signed a EUR 10 million agreement with Danobat S. 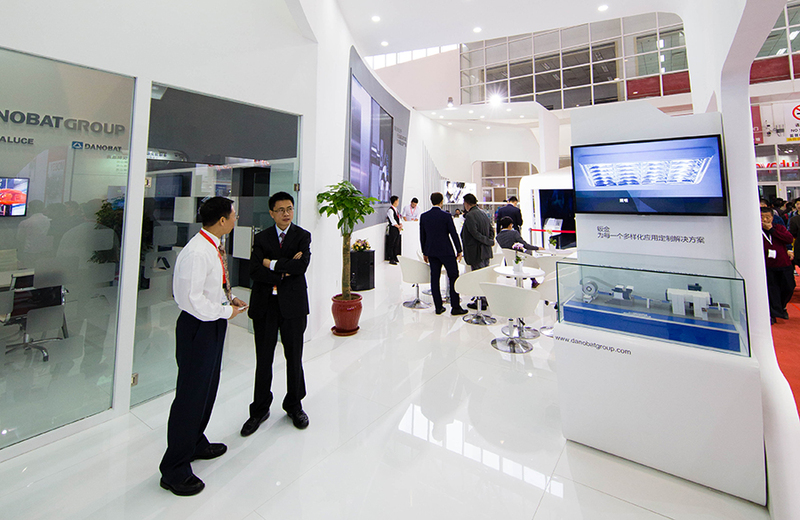 Coop., a cooperative integrated in DANOBATGROUP, for its RDI activities in the field of machine tools. 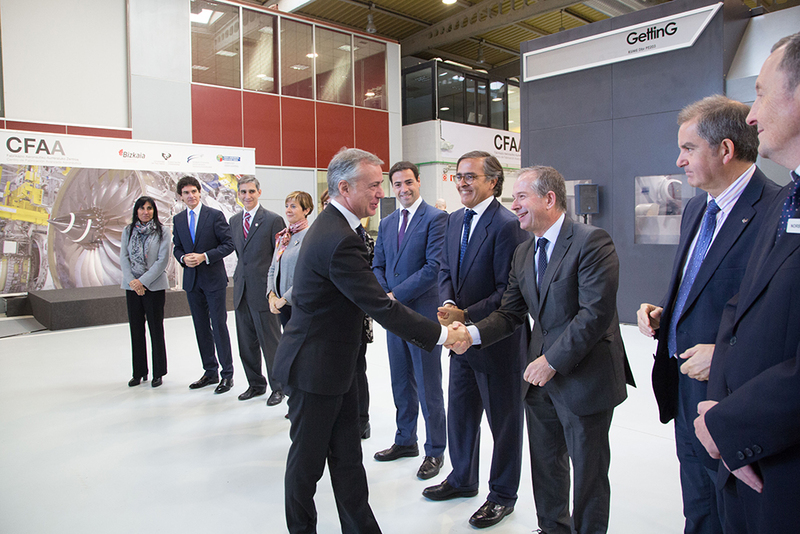 This loan supports the innovation strategy of the group in the field of machine tools; a bet that the Basque industrial group considers essential to improve its competitiveness and the competitiveness of its customers. The railway business unit of DANOBATGROUP, which manufactures equipment for the railway industry, has secured an important order in the UK. First Great Western, the UK train operating company, has awarded DANOBATGROUP a contract for the supply and installation of a DANOBAT tandem underfloor wheel lathe which will be installed at its Reading Train Care Depot in 2016. DANOBATGROUP and the cooperatives that make up the group have have joined the .EUS initiative acquiring the domain for all their websites. 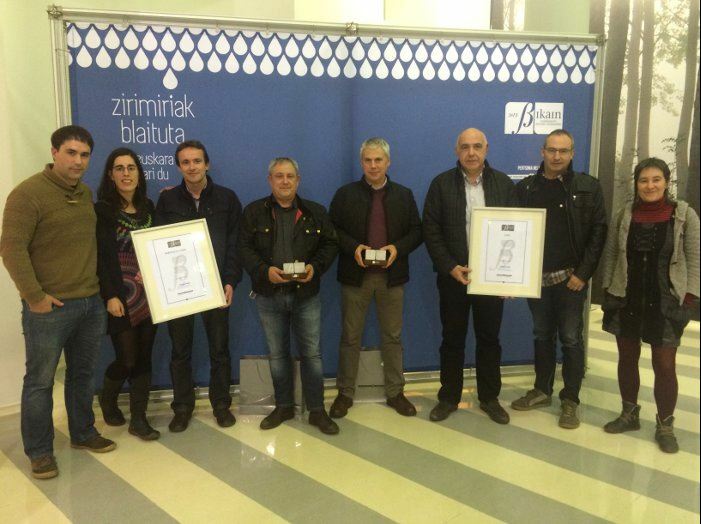 .EUS Domain is the top level domain for the Basque Language and Culture Community. It was created in order to promote the basque language and culture and to provide the backbone to the Basque Language and Culture Community. Therefore, .EUS domain is a tool that holds euskara on the same level than other languages, that will help in the normalization of euskara and that provides an international recognition for the country of euskara. 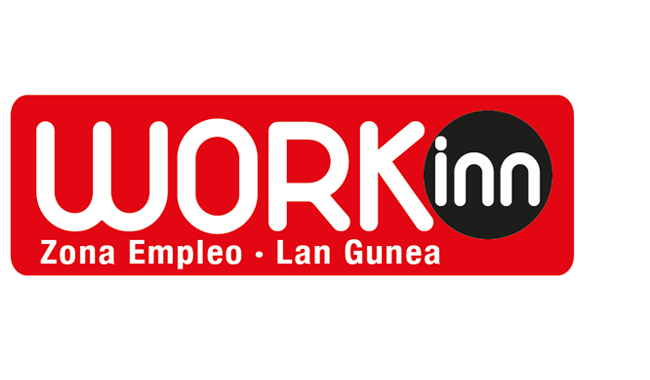 Goimek S.Coop., company integraded in DANOBATGROUP and specialized in high precision machining services, will exhibit from 26 to 29 May its precision machining capabilities for the aerospace industry in hall 5 stand F-27a at "SUBCONTRATACION 2015", the International fair of manufacturing processes and manufacturing equipment in Bilbao. 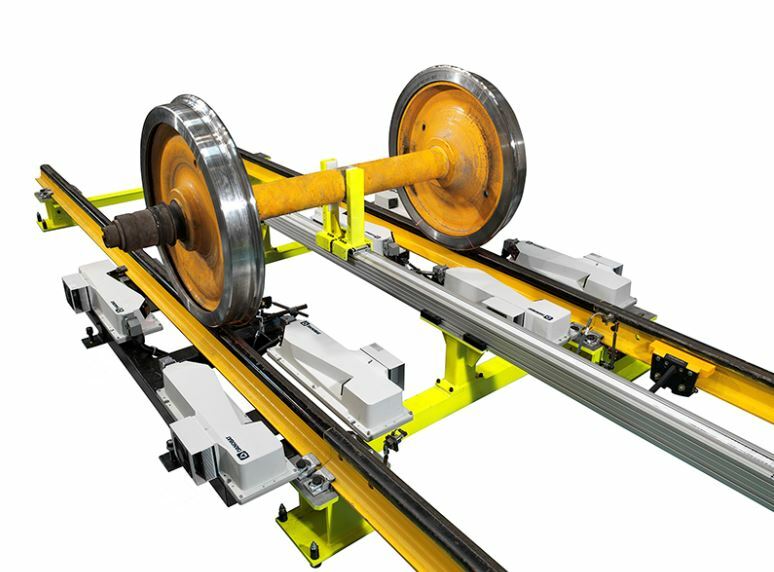 DANOBATGROUP will supply Greenbrier Rail Services, leader in the United States in the supply of equipment and services for rail transport, with two cutting-edge pieces of equipment for its railway axle maintenance depots. 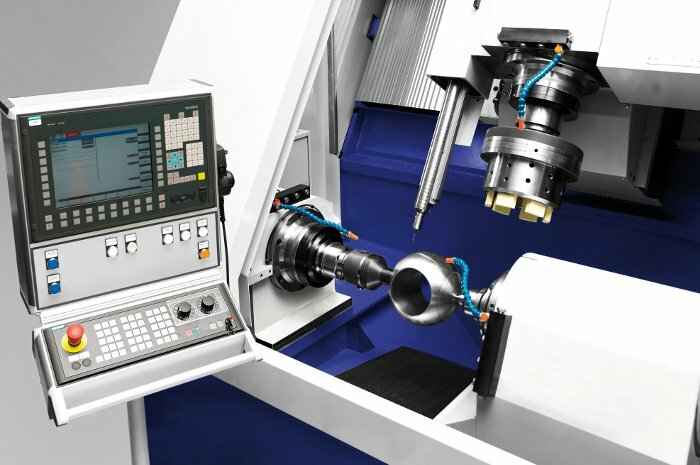 The order for a portal lathe for re-profiling wheel sets and a high performance grinding machine for axle machining reinforces the group commitment to the North American market. Both developments will give Greenbrier first level new machinery, cutting-edge technology and greater automation in its processes. The order includes preventive maintenance, the installation, assembly and necessary training to handle the equipment. 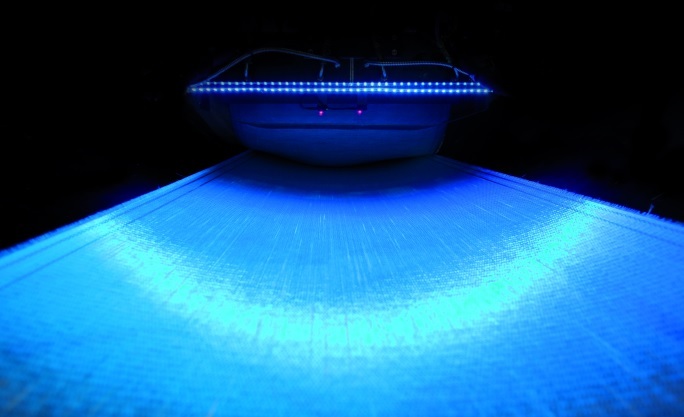 DANOBAT composite developments will be showcased at hall 7.3 stand K61 at JEC Europe composite show and conferences in Paris, from 10 to 12 March 2015. 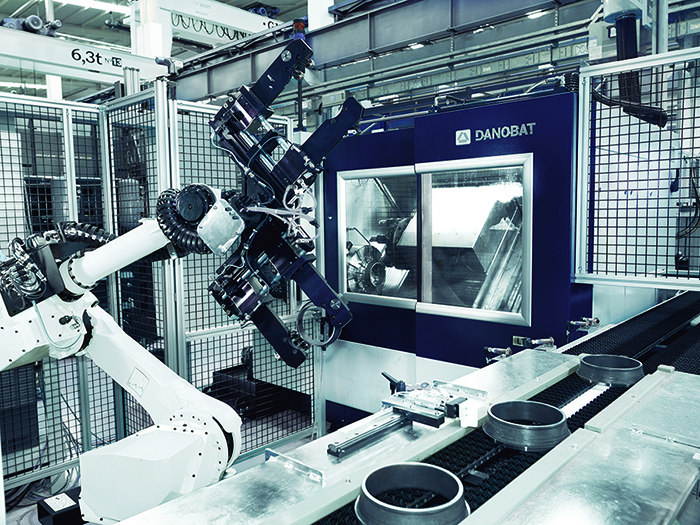 The Composites division of DANOBATGROUP is a disruptive automation integrator that combines clients industry knowledge with DANOBAT in-house manufacturing expertise to deliver tailor-made turnkey solutions. Our clients are market leaders in their sectors (aerospace, automotive, wind power...). The dry disruptive ADMP® based solutions we develop for them result in significant competitive advantages. Disruptive solutions are the result of a close collaboration with clients thanks to the advanced relationship model, ADRM®.